Tom Devine is in from the start for a full senior championship debut. Tom Devine has been handed a full senior championship debut for Waterford. TOM DEVINE’S GOALSCORING exploits in cameo roles against Cork have earned the Modeligo player a starting place in Sunday’s Munster hurling final against Tipperary. Devine is named at midfield in Derek McGrath’s starting line-up, with Brian O’Halloran dropping to the bench. O’Halloran started in the semi-final victory over Cork at corner forward but was taken off ten minutes into the second half. 2013 All-Ireland minor medallist Devine came on for Stephen Bennett with ten minutes remaining and scored a crucial late goal. He also netted in a substitute’s role against Cork in the Allianz League final and will make his full senior championship debut at Semple Stadium. In five games off the bench this season, Devine has earned himself the ‘Ole Gunnar Solksjaer’ moniker by scoring 3-3. Elsewhere, Austin Gleeson has been named at centre back and while Colin Dunford is listed at corner forward, he’s expected to play as an auxiliary midfielder. Email “Start for goal hero in Munster hurling final as Waterford make one change”. 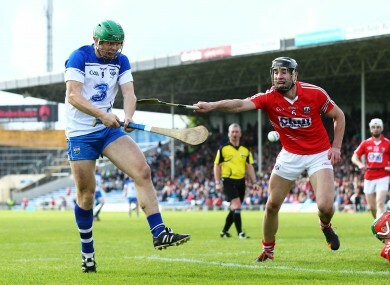 Feedback on “Start for goal hero in Munster hurling final as Waterford make one change”.